Provides continuous compression and support. Constructed of neoprene for durability. Bilateral strap design controls buttress tension. Low profile design provides patient comfort. The DeRoyal Patella Band has a very effective , low profile design that patients enjoy wearing. The product features a neoprene base that's comfortable against the skin and also adds to the durability of the product's design. 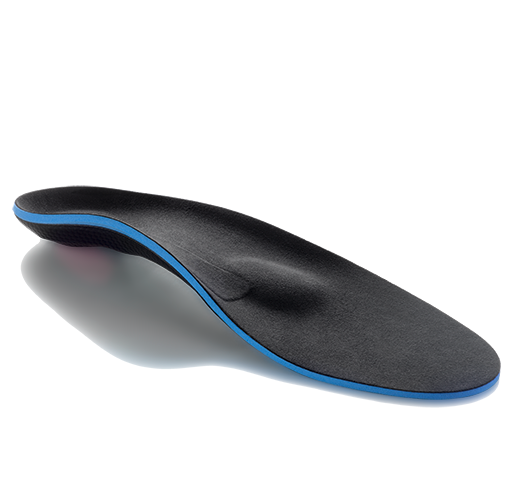 It has a tubular buttress inside that provides pressure against your patellar tendon to relieve pain and discomfort. 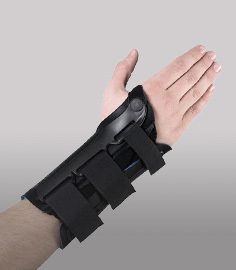 The DeRoyal Patella Band has a pull-on style for easy fitting and features two adjustable straps on the sides the apply more even distributed tension through the buttress for effectiveness. It's lightweight and effective for treating jumper's knee, patella tendonitis, and more. 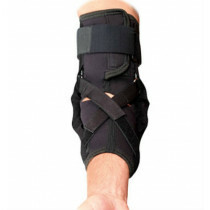 Features two adjustable straps on the sides for controlling buttress tension over patellar tendon. Made of neoprene for durability and comfort. Very low-profile design provides patient comfort. 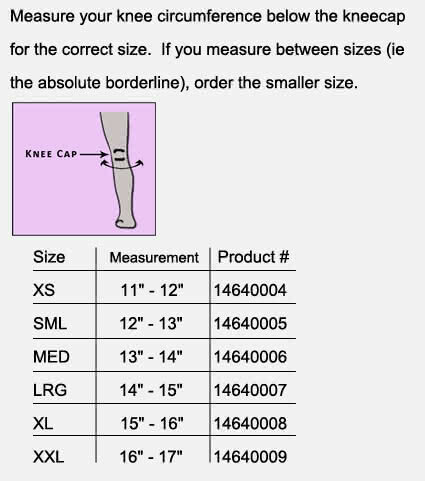 Available in six sizes to fit every size individual - see sizing chart tab. Washing instructions - Hand wash in lukewarm water with mild detergent. AIR DRY, do not put in the dryer. PRECAUTIONS: Consult your physician immediately if you experience sensation changes, unusual reactions, swelling or prolonged pain while using this product. The DeRoyal Patella Band should not be used by patients with poor peripheral circulation, diabetes, or decreased skin sensitivity. Use directions: A) Stand or sit with leg slightly bent and thigh relaxed. Slip Patella Band onto leg placing the tubular buttress around the knee joint just below the kneecap. Making sure the contoured part of the band fits comfortably just below the popliteal region (back of knee). B) Feed each strap through its appropriate D-Ring closure. C) To tighten, pull both straps simultaneously and attach to the band for a snug but comfortable fit. Trim excess strapping where needed. This product is very comfortable to wear and provides great support when I play tennis. Highly recommend. I like the way that these attach below my knee. They give good support and help my pain from running around on a tennis court. Very good quality. The patella bands are comfortable and effective for my kneecap pain. I use them mostly with sports as this is what causes my knees to hurt.  DeRoyal believes that the best way for you to select and purchase a DeRoyal product is at one of its authorized online stores of which DME-Direct is one. Only in these stores can you be sure to find the latest DeRoyal collection and ensure you are getting a genuine DeRoyal product with the manufacturer's full warranty. DeRoyal therefore recommends that you do not purchase a DeRoyal item through any website, unless it is an authorized DeRoyal dealer. We are a DeRoyal Authorized Dealer and can assure you a safe and pleasant shopping experience here at our website as if you were at our wholesale distribution premises in Valencia, California. Some non-authorized sites sell counterfeit, second-hand merchandise, and/or products containing old fabrics, glues, and resins that do not perform as intended, and are therefore, not eligible for care under the DeRoyal warranty. Others do not offer the original DeRoyal warranty, nor do they offer any after-sales service of any kind. DeRoyal takes great care to ensure that all DeRoyal authorized dealers offer you the very best products and service. Please take advantage of the peace of mind that only they can offer to DeRoyal purchasers.